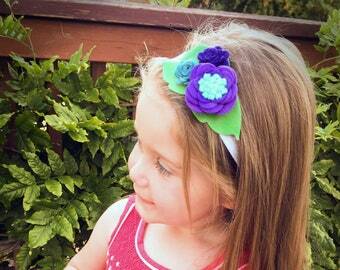 This sweet, soft little headband is the perfect as an everyday hair accessory. 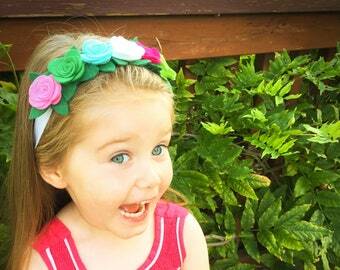 It's also a great decoration for a photo session. 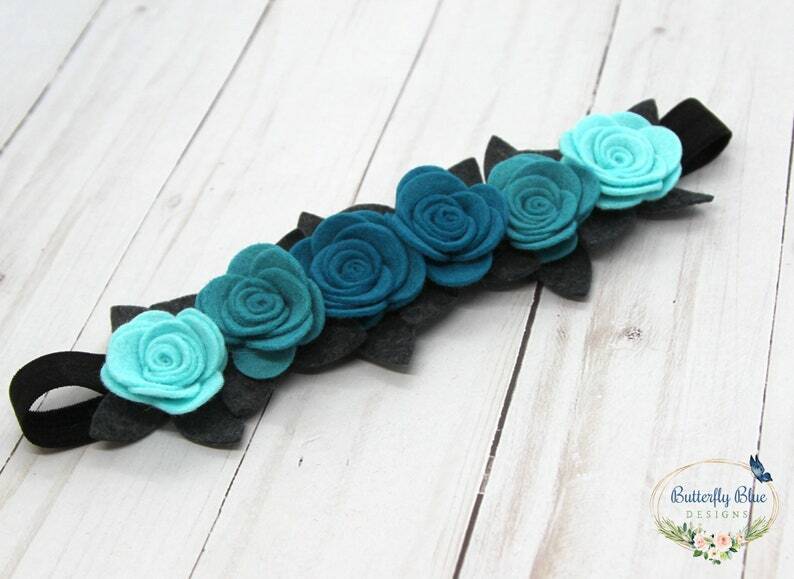 It is made with 6 wool blend felt flower roses in Turquoise, Peacock and Aqua accented with Smoke leaves.